Theres nothing like the energizing color of orange to cheer someones day. Send this arrangement, and theyll get more than just a little boost. 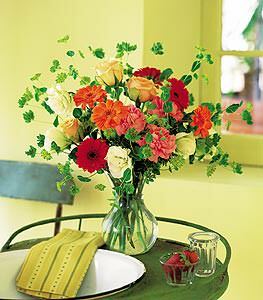 Gerberas, carnations and roses are delivered in a charming glass vase.